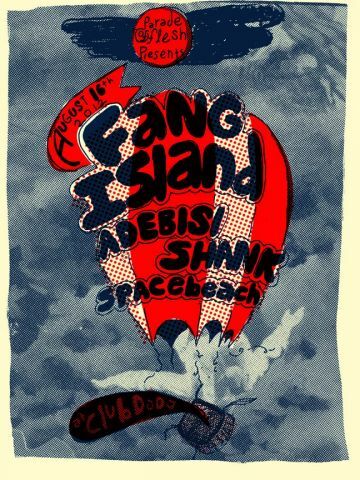 This dreamy poster for FANG ISLAND / ADEBISI SHANK / Spacebeach (8/16) at Club Dada is by Nevada Hill. Show info below! This entry was posted on July 19, 2012 at 10:37 am, filed under News.